BAGRAM AIR FIELD, Afghanistan (April 14, 2015) -- Soldiers, from the 1100th Theater Aviation Sustainment Maintenance Group, or TASMG, a Maryland National Guard unit, are nearing the end of a deployment that saw them retrograde 16 airframes and $260 million in Class IX aviation equipment from theater during their nine-month deployment while simultaneously supporting ongoing missions. The Soldiers came from 11 states to form a detachment, said Lt. Col. Mayb Sersland, Afghanistan retrograde officer in charge. She said everyone on the detachment understood their mission and how it would impact the aviation community. More than half of the Soldiers work in aviation facilities in their civilian jobs, she said. "They fully understand how difficult it can be to get needed parts to conduct maintenance. They have all experienced waiting two months in their state for there to be enough funding to get something as simple as a $4,000 circuit board," Sersland said. "So all the members of the team were very passionate about saving these items and getting them back into the Army supply system." 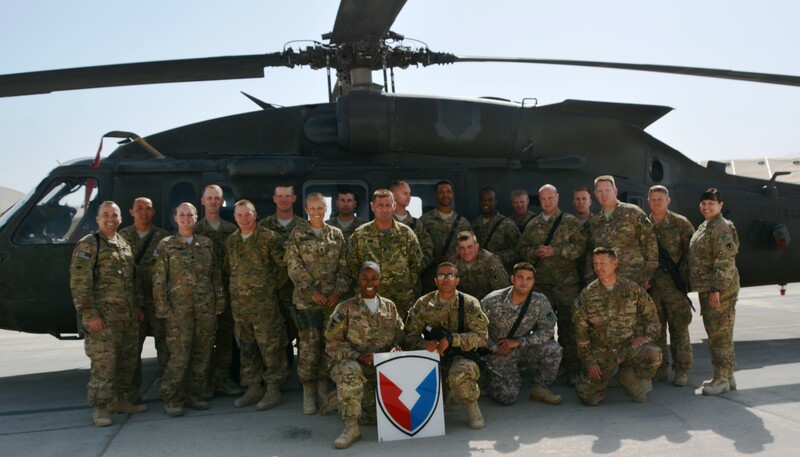 The detachment had Soldiers, assigned to both Bagram and Kandahar Airfields, and traveled to various forward operating bases, or FOB, to conduct their mission to maintain and retrograde aircraft and associated equipment. Sersland said one of the most challenging parts of the mission was to learn the unique processes at each FOB. Although the retrograde mission was the same, the processes that went into getting the equipment ready for retrograde varied from base to base. "It was definitely not the same anywhere," she said. Another challenge was getting commanders to understand why an aviation maintenance group was the best unit to retrograde aviation assets, she said. "Our expertise is in our technical inspectors," she said. 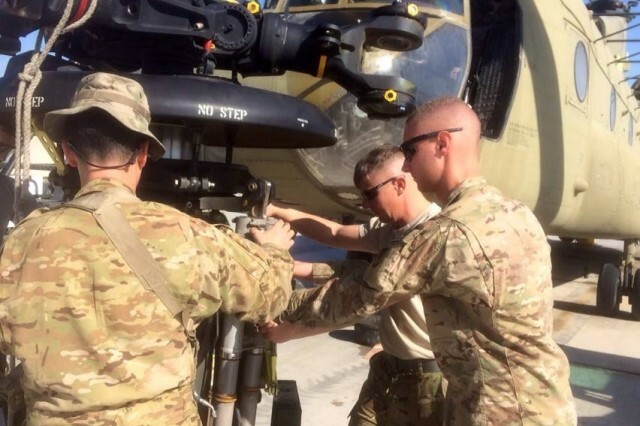 "They have the skills, knowledge, and experience to look at something that might look like trash to a layman and know that it is a part for a UH60 [Black Hawk], inspect it, identifying if it should go back into service or to maintenance. They also provided much-needed training and guidance to other organizations on how to properly package and ship high-dollar items like rotor heads and engines back to the United States without causing damage like corrosion, which is one of the biggest issues with aviation parts." 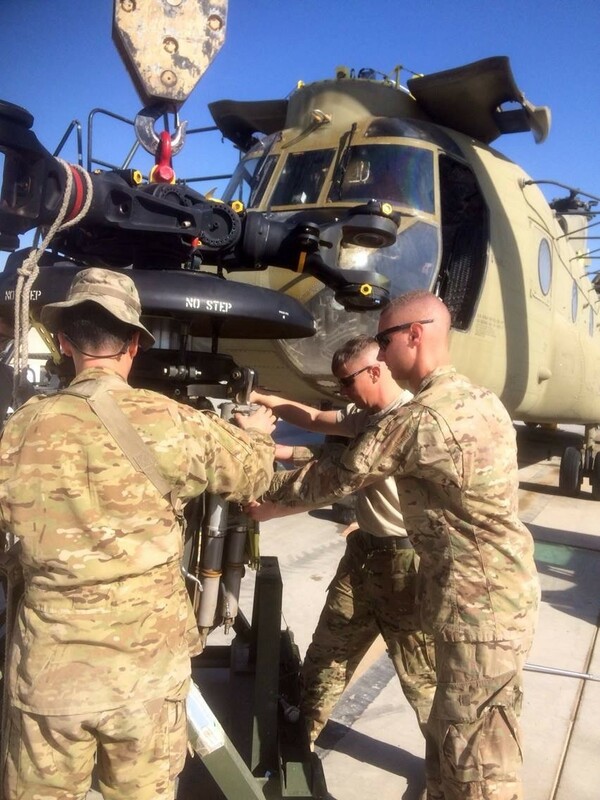 "The mission of the 1100th TASMG's Afghanistan Detachment was to conduct retrograde - to find, account for, and disposition all of the aviation class IX parts and equipment that had been piling up in Afghanistan for the past 14 years," said Col. Brian T. Connelly, 1100th TASMG commander. "As troops and aircraft draw down as the mission ends, we're the ones to retrieve all that aviation support equipment. Because of that mission, we're known as Task Force Retriever." Connelly said Task Force Retriever identified and recorded parts and equipment that can be refurbished and made available for use whenever and wherever needed. "The team executed over 5,600 man-hours in technical inspections, shop maintenance and APOD [aerial port of departure] support," said Capt. Michael S. Bertsch, detachment officer in charge. "They also retrograded out over 108,000 line items totaling 321 pallets." Sersland said that while there was not one hero in our detachment, the team as a group were the heroes and they could not have been successful without that unit cohesion that was built by everyone. 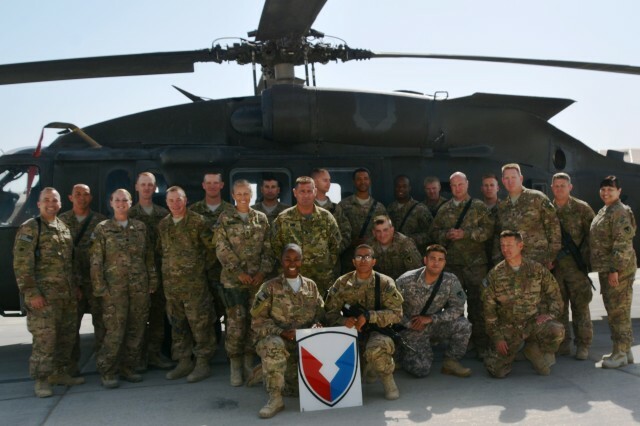 Connelly, however, named Sersland as one of the heroes of the deployment who went above all expectations and noted that she has volunteered to stay for another nine-month deployment with the 1108th TASMG. He also had praise for Chief Warrant Officer 3 Michelle Epps, property book officer, and Sgt. 1st Class Scott Hash. He said Epps, who had the most "thankless job," was "supremely competent and a model warrant officer." He said Hash was the "backbone of my Afghanistan detachment," who drew on his previous deployment experience.